My favorite manager was a man named Matt who ran the sporting goods store I worked at during college. Even though Matt was young and a fresh university grad, he had already been a store manager for a few years. He had an insane work ethic and could usually be found working open-to-close, even on his days off. Manager Matt was an employee favorite because he actually spent time on the sales floor helping all his employees rather than in his office analyzing stuff like unit per transaction figures. He was my favorite manager not only because we got along great, but because he actually seemed to value what came out of my mouth. He always asked for my opinion on merchandising (in retail speak, merchandising is organizing items in a pleasing way and creating unique displays), which was something I quite enjoyed at the time. He would pull me from the ski & snowboard department to hear my thoughts on displays in other departments. After I gave him my two-cents on what worked and what didn’t, he would always ask, “What would YOU do different?” which always made me think about it a little harder. A lot of times my ideas were actually put into action, and every time that happened I would be filled with a sense of pride. Matt really made me feel valued. I had a sense that he was honestly invested in me, and those feelings have stuck with me to this day, 15 years later. Matt went on to become the youngest district manager for one of largest sporting goods retailers in the United States and still works there today, and I went on to become Outreach Team Lead at the best damn online marketing agency in the known universe. After recently becoming a team lead at Distilled (yay! ), I found myself thinking back to what made Matt such a great manager. . What did I learn from him that I could now apply to my new role? 1. Be Available – Managers should always be available and not constantly locked away in an office or tied down by meetings. Most, if not all, of us have had a manager in the past who wasn’t a part of the team and hid away behind closed doors. This was my manager before Matt, and no one liked that guy. Being an unavailable manager leads to poor morale and a lack of trust in the workplace – you don’t want that. Our manager before Matt created an us-versus-him mentality. We didn’t trust our manager and we felt it was an unbalanced and unfair work environment. Lead by Example – Manager Matt believed that misery loves company. Whenever we were faced with a daunting task he would roll up his sleeves, join us, and get to work. Employees left with the burden of a huge workload without support will feel as if they’re being treated unfairly by managers. Your team’s morale is too valuable to not make time for them. Join the brainstorm session. Be part of the hack day. Just being available is a huge boost. A manager doesn’t have to be clocked in 24/7, but having an open door policy and being involved in the process should be expected. Line Manager Meetings – These are set each and every month, no matter what. If there is a scheduling conflict, set a new date immediately. Our LMM’s have little to do with project management and tasks; often they have nothing to do with projects at all. Instead, we use the LMM to focus on the person and ask questions such as: How are you doing? What is going well? What needs more attention? What are your roadblocks? Making time for your team should be a top priority for any manager. Company culture, employee morale, and mood are all directly related to accessibility and availability of management. 2. Listening – The second thing I took away from Manager Matt was to listen. Matt had this way of making me feel like I was important, as if my thoughts and ideas were actually valuable to the entire company. Every time we spoke, I felt my ideas, feedback, or concerns were met with understanding and often followed by action. Listening is the first step in creating progress and overcoming obstacles. A good manager understands the roadblocks faced by his or her team and then works to overcome them. Matt had great listening skills. For some people it comes naturally; for others it takes work. A simple and actionable method for building those skills and the relationship with a team is to share what everyone is working on that day. Many managers already do this, but unknowingly fall short because they fail to share what they are working on with the rest of their team. This creates an uneven work environment and a sense of the employees not knowing what managers actually do. TinyPulse – A tool that give leaders a pulse (get it?) on how happy, burnt out, and frustrated their employees are, so they can build bridges to spark dialogue for positive change. 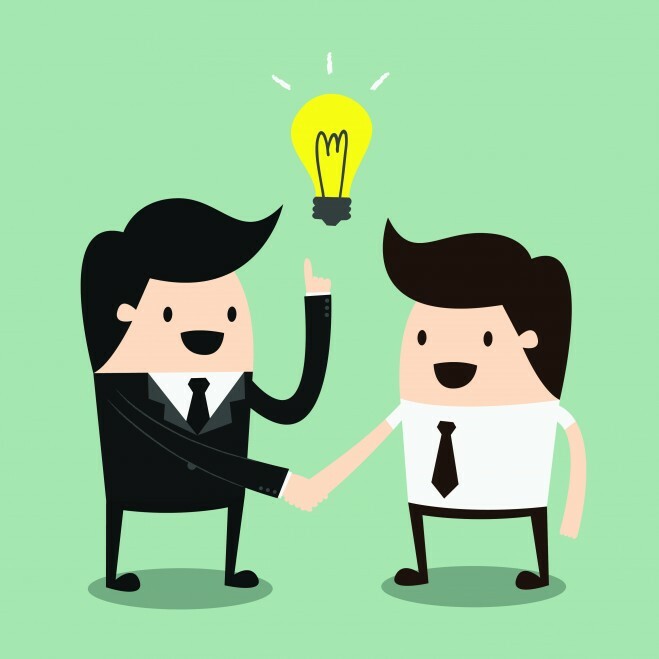 Feedback can be anonymous and the tool also encourages employees to give praise. FunScrum – A daily email blast the team fills out which shares with everyone what each team member is working on that day, what they worked on yesterday and what roadblocks they have. Super-fast and simple. 3. Understand your team’s strengths – The last lesson I took away from Matt is to understand your team’s strengths and use those strengths to drive productivity. Brad Pitt was wrong. 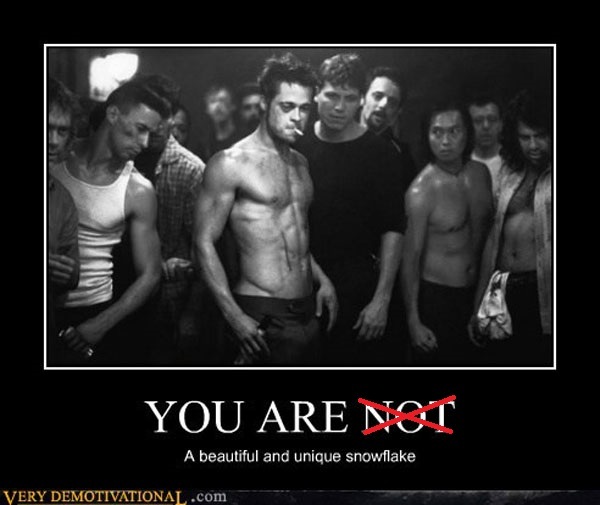 Everyone is beautiful and unique and a snowflake. Each person has his or her unique set of skills and strengths. My mom says I'm a unique snowflake. Manager Matt had the insight to see that I was actually interested in merchandising and he used that as a motivator. His insight not only increased my productivity, but also made me feel more valued at work. This is an area where Distilled excels. We are proud to have a group of line managers who are invested and able to help each employee grow and progress down the path best suited towards his or her greatest strengths and interests. All jokes aside, Luke’s former line manager, Adria Saracino, and our Head of Creative, Mark Johnstone, saw Luke’s strengths and helped foster the career path that Luke is now on. This insight can only be brought to light by a management team that is available to his or her employees and actively listens to not only what roadblocks are ahead, but also sees the strengths in each person. Looking back, Manager Matt certainly left a big impression on me, and looking down the road, I want to be the type of manger that inspires people like he inspired me . Though Matt and I eventually parted ways, I’m lucky enough to now call Distilled home, where I am surrounded by many “Matts” that go by the name of Duncan, Will, Rob (x2), Kate, Adria, and on and on. 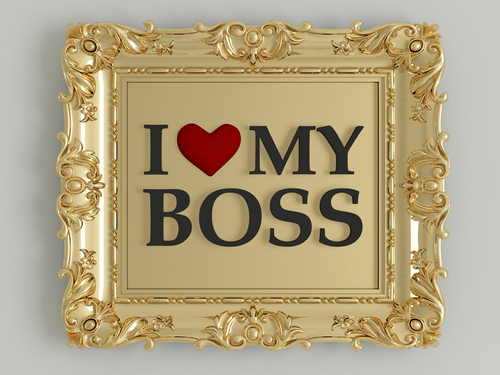 What manager left an impression on you? Share your stories of someone that left his or her mark on your career.